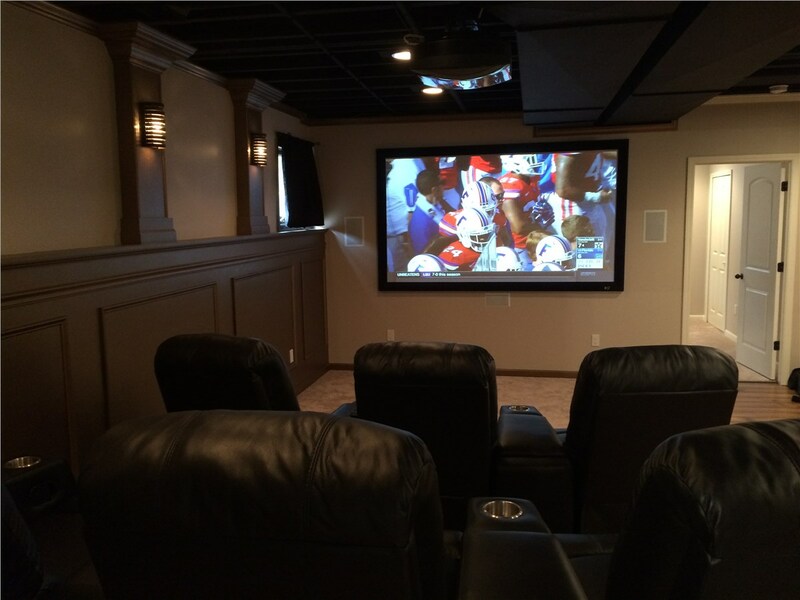 With a home theater in the basement, you won't have to worry about anyone kicking your seat. 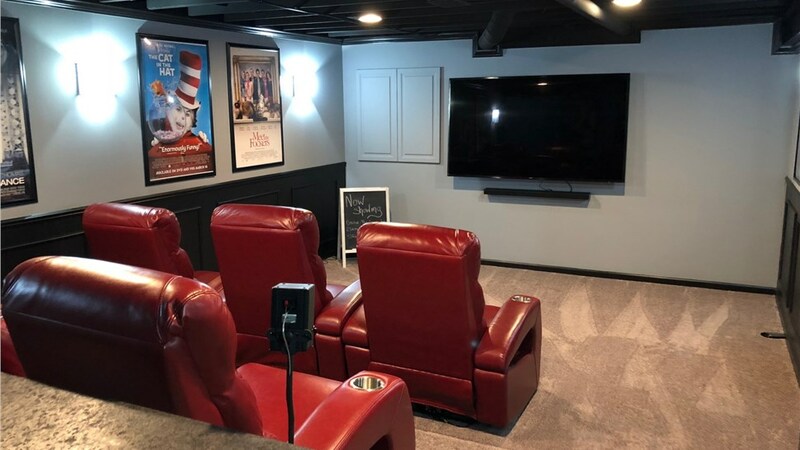 If you’re tired of waiting in line at the movie theater, paying for overpriced popcorn, and having to deal with someone kick your seat throughout the movie, it might be time to consider adding a basement home theater to your house. 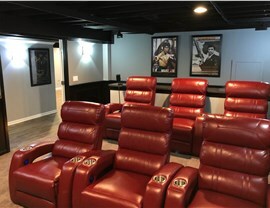 When you work with Matrix Basement Systems, you’ll be able to turn that dream home theater basement idea into a reality. No matter what you have in mind, we’ve got the skills and capability of bringing it to life. 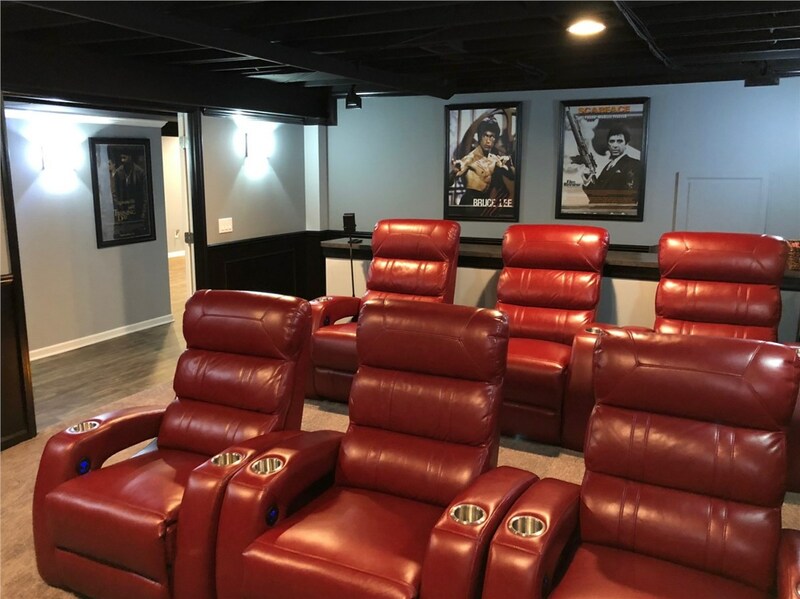 Whether you want a great place for the kids to hang out, a state of the art man cave, or anything else, we’re the innovative basement design and remodeling firm you’ve been looking for. When you’re ready to create a basement media room in your house, there’s a lot of different directions you can go in. But the number one thing to do when you’re remodeling or finishing your basement is to choose a company that has your best interests in mind—not just their bottom line. When you work with us, you’ll work with professional designers, manufacturers, and installers that are all committed to superior service and customer support. In addition, our high-quality, eco-friendly materials are resistant to moisture and mold, problems that plague most basements. 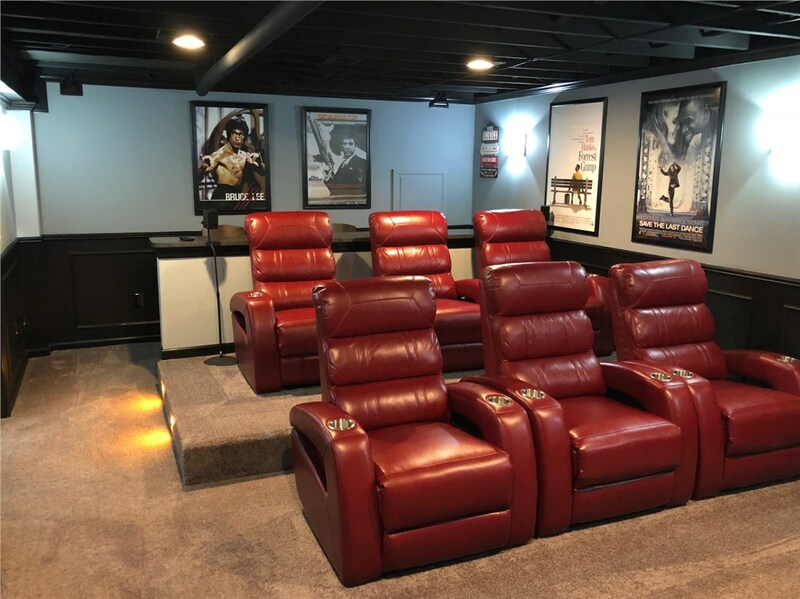 We’ll work with you to help create the home theater of your dreams, with unlimited decor options and an internal electrical raceway help for easy wiring of electronics. When building your home theater in a basement finishing project, you’ll want to consider insulation to ensure that the main floors of your home won’t be bothered by the entertainment systems downstairs. 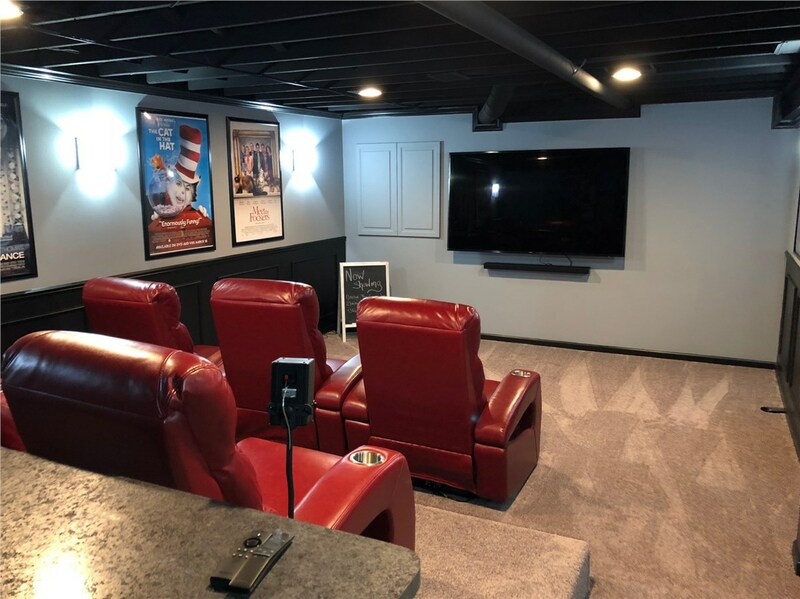 Matrix Basement Systems uses a unique wall-building technique to ensure your basement turns out perfectly, and what’s even better is when it comes to home theater cost, our method doesn’t break the bank. In fact, our award winning services generally cost less than half the cost of the industry average. 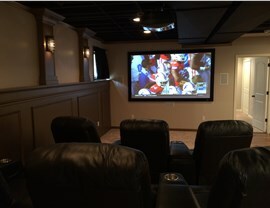 When you want to build out your basement to include a home theater, don’t hesitate—contact us. 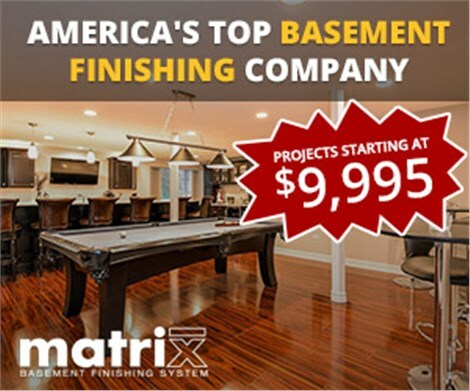 We’ll provide you a free estimate of your basement finishing cost before you commit to anything! Just give us a call or fill out our quick online quote form to get started.